In the summer of 2010, the Lumpy Waters Symposium blipped on our radar. 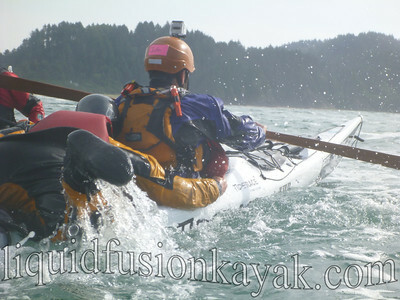 It is a kayak symposium on the Oregon Coast that features kayak instruction in surf and rock gardens. In 2010, we had already committed to going to the Traditional Arctic Kayak Symposium in Trinidad but penciled it onto our calendar for 2011. 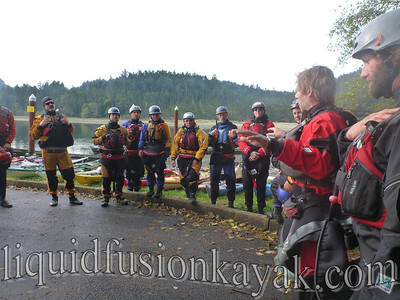 This year at the Golden Gate Sea Kayak Symposium, Jeff coached with many of the Lumpy Waters coaches. We were stoked to be invited to come. It was a super fun event. 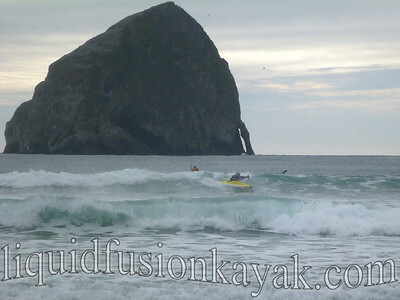 The weather and coastal conditions were ideal for lumpy waters - some surf and some wind. The gathering of paddlers was ideal too - instructors who like to paddle and teach in rough water, surf zones, and rock gardens, and students who are willing to take some lumps and learn to paddle in these conditions. It was a pleasure to work with top instructors. We enjoyed teaming with them to give the students the best possible learning experience. Courses that we taught included short boat surfing, rough water rescues, rock garden safety and rescue, advanced rock gardens and caving, and fun and feedback (sea kayaks in the surf). The enthusiasm of the students, the camradery of the coaches and sharing our love of surf and rock garden paddling was invigorating. Huge kudos to Paul Kuthe and the crew from Alder Creek for putting together a great event. 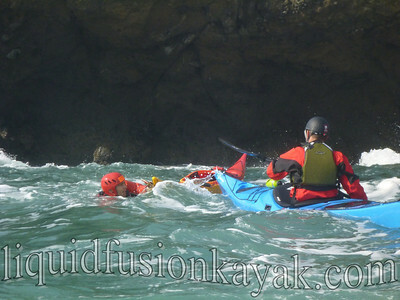 We are looking forward to next year but before that the Golden Gate Sea Kayak Symposium in February 2012. Here's a link to Neil Shuman's photos of Lumpy Waters and a link to my photos from Rock Garden Safety and Rescue.